A fun and familiar topic, Animals I See at the Zoo/Animales que veo en el zoológico contains simple, bilingual text, and a strong photo-text match, which combine to make this series a perfect introduction to reading. The series will appeal to ELLs and other readers who enjoy learning about the features and habits of animals they see at the zoo. Full-page photographs complement the text throughout. 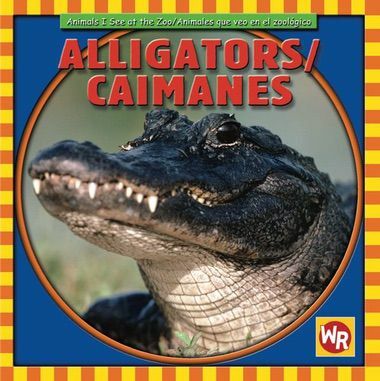 Alligators/Caimanes focuses on this armored animal that was almost extinct but now thrives in the United States.